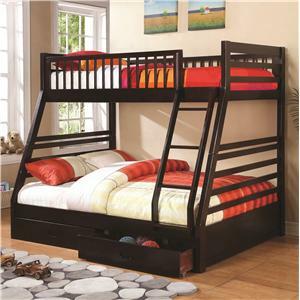 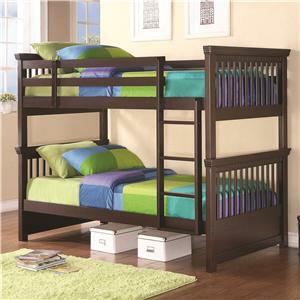 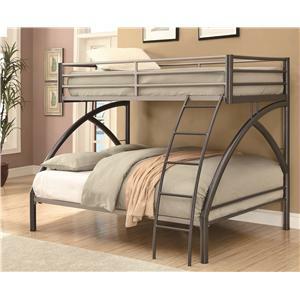 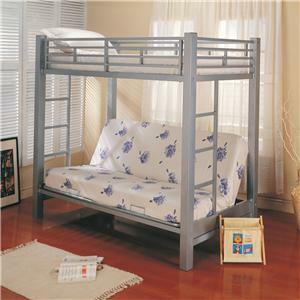 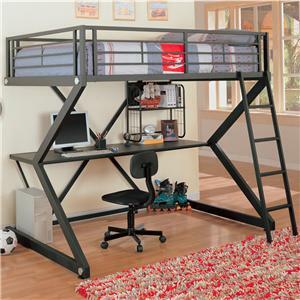 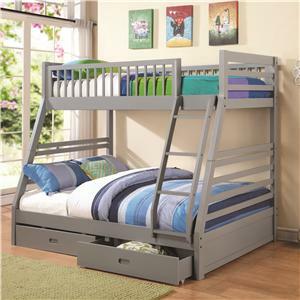 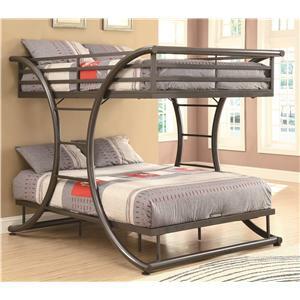 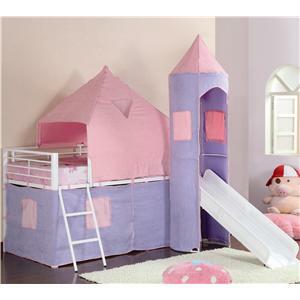 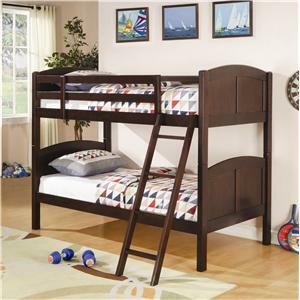 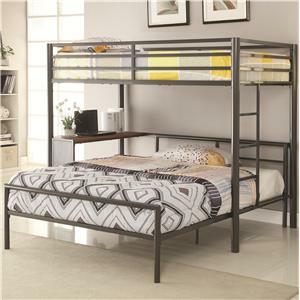 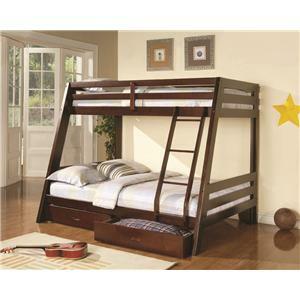 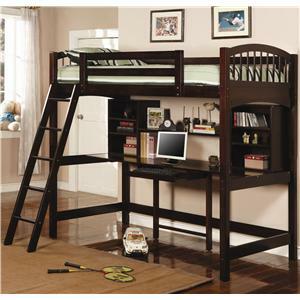 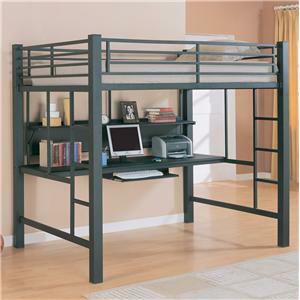 Bring an attractive contemporary style into any room with this updated twin-over-full bunk bed design. 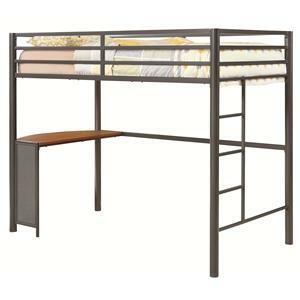 The gunmetal and silver finish gives the piece a two-toned look that will create a stunning center piece for your child's room or a guest bedroom. 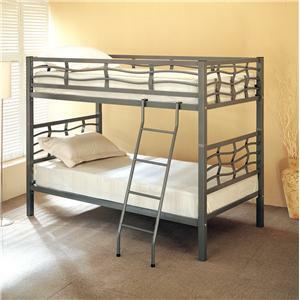 The modern style is softened by curved supports and geometric shapes, creating a chic haven for relaxation and comfortable sleep. 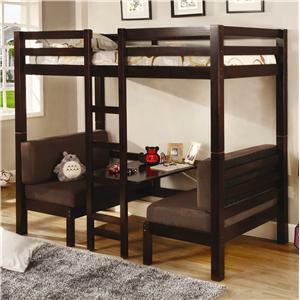 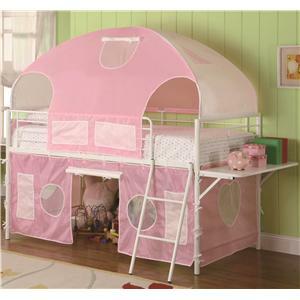 Add this stylish and functional bunk to your home for a fresh look that you will love. 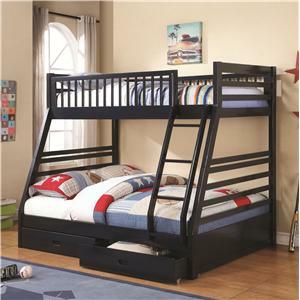 The Bunks Twin-over-Full Contemporary Bunk Bed by Coaster is available in the area from FMG - Local Home Furnishing.